Carl Icahn rattled the health care industry on Wednesday. Icahn, an activist investor, built a sizable stake in health insurer Cigna, the Wall Street Journal reported. Cigna is in the process of buying pharmacy benefits manager Express Scripts for $67 billion. Shareholders of both companies are scheduled to vote on approving the deal next month. Icahn reportedly believes Cigna is paying too much for Express Scripts and will urge shareholders to oppose the deal. Icahn is also wary of the new company competing with Amazon (AMZN), which is increasingly interested in the pharmacy business, the Journal reported. He is also worried about a federal proposal to limit pharmacy benefits managers' rebates. Icahn and Cigna did not immediately respond to request for comment. Amazon announced in June that it is buying PillPack, an online pharmacy that delivers medications to customers in pre-sorted doses. The move gives Amazon access to pharmacy licenses in all 50 states and came just a week after CVS announced it will start delivering prescriptions and certain over-the-counter medications to people's homes. Icahn is also apparently concerned about the Trump administration's efforts to rein in drug costs. Officials are considering scaling back the ability for drug manufacturers to give rebates to pharmacy benefits managers, which is key to their operations. The administration and others blame this system for helping to drive up drug prices. Express Scripts (ESRX) fell 6% on the report, while Cigna (CI) moved up 2%. Rite Aid (RAD), which Albertsons supermarket chain agreed to buy in February for an undisclosed amount, plunged 6%. Walgreens bought a larger chunk of Rite Aid in September after a long holdup with federal regulators. Separately, California Insurance Commissioner Dave Jones released a report Wednesday urging the Justice Department to block CVS' (CVS) proposed tie up with Aetna (AET). CVS agreed to buy Aetna for $69 billion in December. "The proposed merger of CVS and Aetna will significantly reduce competition," Jones said in a statement. "A merger of this size and type...will likely lead to increased prices and decreased quality." The commissioner said CVS is a dominant player in both the retail pharmacy business and the pharmacy benefits manager industry, which negotiates with drug companies on behalf of insurers. Consolidating CVS with a health insurer could make it harder for other insurers to use its services, Jones argues. And it will eliminate Aetna as a possible entrant into the pharmacy benefits manager market, which is already very concentrated. 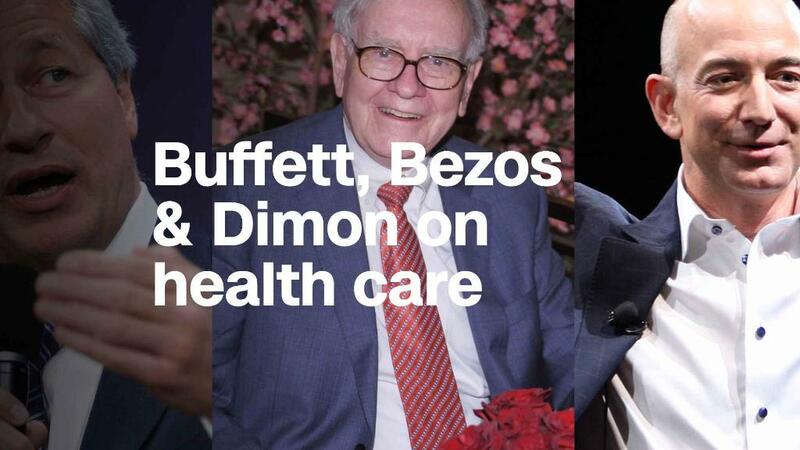 Also, the merger could harm senior citizens since both companies offer Medicare Part D prescription drug plans -- Aetna has a 9% market share and CVS a 24% share, Jones said. If they combined, it could lead to reduced competition and higher premiums. CVS and Aetna both dropped 1%. CVS in a statement said it strongly disagrees with the insurance commissioner's assessment. "Our vision is to create a new health care model that will help consumers improve their health by focusing on prevention and primary care, simplifying their health care experience and reducing costs. We believe that competition within each of the business segments in which we operate -- pharmacy benefit management, pharmacies and insurers -- is fierce and will remain so," it said.